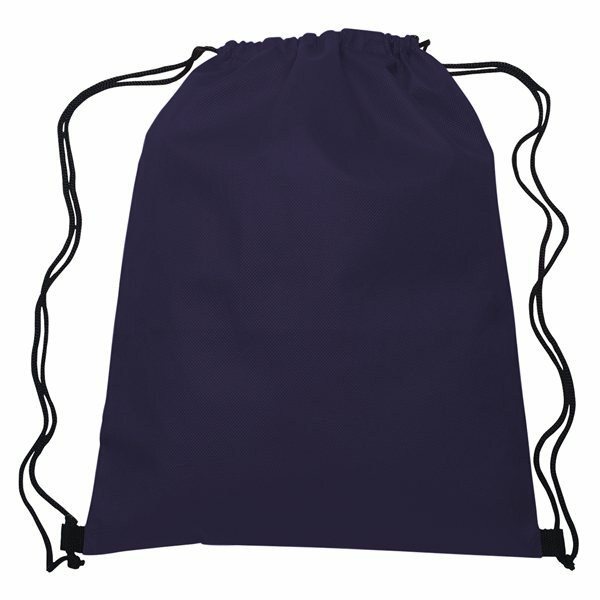 The Promotional Drawstring Sportpack from AnyPromo is a 13" x 16.5" drawstring backpack. This promotional drawstring bag is made with durable 80 gram non-woven polypropylene with a water-resistant coat. Available in a selection of 12 different colors with Screen Printing on a generous imprint area of 8" x 9" on the front for your logo or custom design. This Promotional Drawstring Sports Backpack is a customer-voted "Top 100" item because it's both highly functional and very affordable. 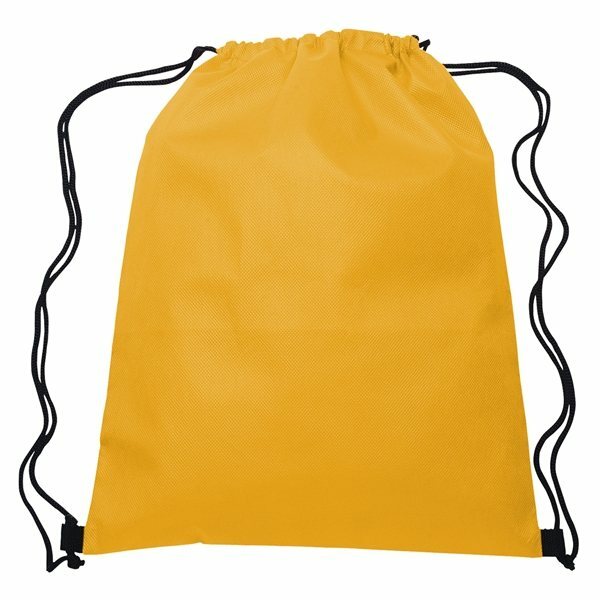 Not only are these custom drawstring sports bags great for throwing in goodies for giveaways, they make great backpacks for light outings. 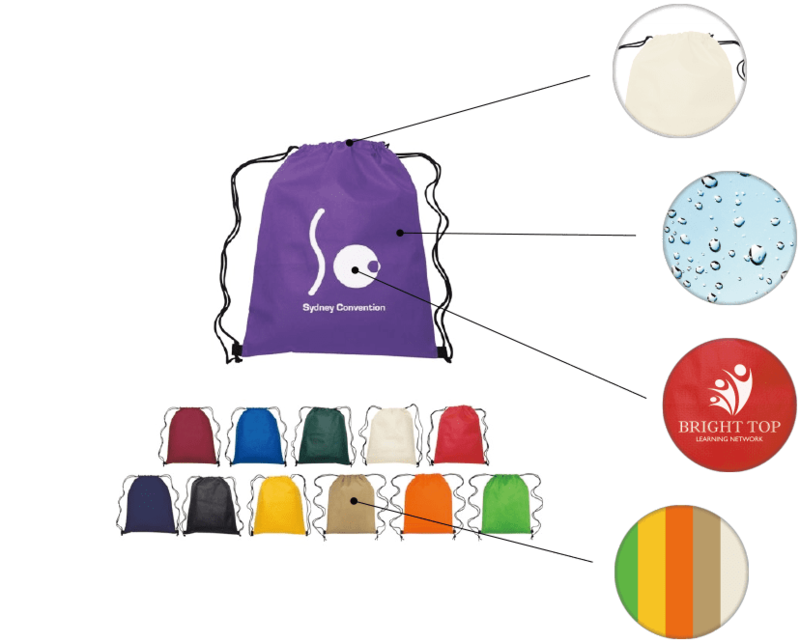 Most importantly, when these custom drawstring backpacks are given out as promotional items, everyone will see your custom imprint prominently displayed on the back. The Promotional Drawstring Sportpack is perfect for any occasion; from free contest giveaways to gain new customers; to sending Thank You gifts for loyal customers; to school functions and birthday parties! They're especially fun for: Tradeshows, College Commencements, Concerts, Back to School, and other live events. Spot cleaning and air drying is recommended. 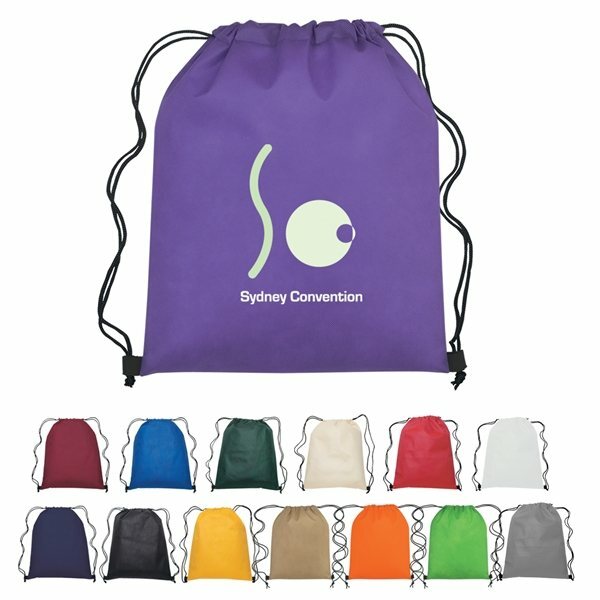 These promotional drawstring bags are a customer-favorite because they are budget friendly and extremely versatile. They can be given away in any promotional industry in almost all promotional occasions. This customizable drawstring sportpack is made with tough 80 gram nonwoven polypropylene treated with a water-resistant coat. Drawstring backpacks are great for throwing in other giveaways like water bottles and pens. Customize with PMS color Screen Printing allowing for customizable imprint colors. 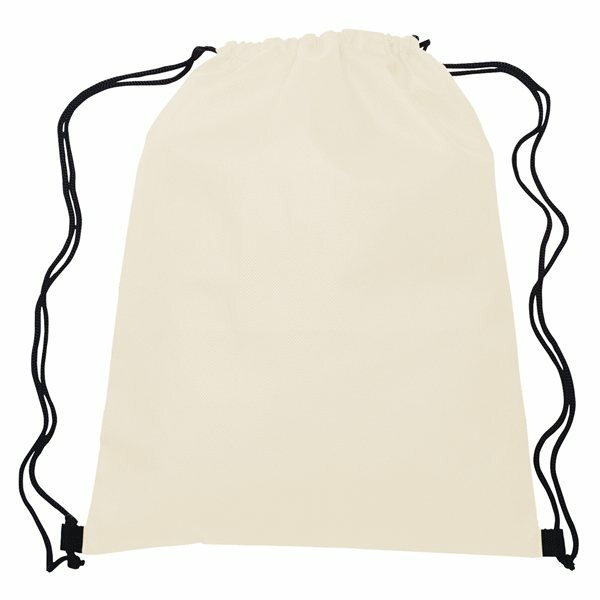 If you find this imprinted drawstring bag cheaper elsewhere, AnyPromo will beat the price by 10% of the difference. Excellent and well-made product. Graphics and print are clear and precise. I know our customers will be as happy with the product as we are. I am very happy with the high quality drawstring bags that I ordered for Operation Christmas Child. Fold them in thirds, and they fit very nicely in the bottom of the shoebox while taking up very little space which allows room for many other gifts. To my delight, the strings can be knotted in various places in order to individualize for the size of each child. I was allowed to order in four beautiful colors of my choice thanks to the excellent customer service by Akira. Thanks for a wonderful product at a great price.